Following the 2016 Brexit referendum, Britain needs to forge new and strong strategic alliances and trade relationships. Where and how does Africa feature in this equation? Despite significant challenges, both Britain and Africa could emerge as winners from a rapidly shifting and uncertain global landscape. Smart policies and diplomacy could allow Britain to capitalise on the indifferent economic attitude the rest of the Western world has towards Africa. And African countries with strategic clout and collective bargaining acumen could broker favourable trade and investment deals rather than have terms dictated to them, as has been in the past. First, to offset the detrimental effect of a split from Europe, Britain needs to look to alternative trading partners to catalyse its economy. Using foreign policy as an economic stimulus is vital in achieving this, and Africa is appealing in this regard. For British businesses, Africa’s high growth rates, urbanising population and growing consumer market provide a marketplace for British goods and services. For Africa, the nature and scale of its development challenges, combined with its commodity export dependence, means that improved partnerships and increased demand for goods and services are welcome. Through trade, investment and donor support, there is huge scope for UK Inc to grow a more prosperous Africa while boosting its own economy. Second, the ‘pivot to Commonwealth’ is a strategy that has long been flaunted as a positive spin-off from Brexit. Indeed, many advocates of Brexit had argued that once the UK was freed from the chains of the European Union (EU), it could pursue a buccaneering future as ‘Global Britain’. Given the cultural affinity with its former colonies, the linguistic, legal and educational symmetry, and sizeable diaspora in the UK, Britain has an advantage over other countries regarding Africa. Its deep historical (albeit controversial) relationships with regional powerhouses like South Africa, Kenya and Nigeria could help secure trade and investment deals. This year’s Commonwealth Heads of Government Meeting in London from 16-20 April is a clear attempt to both solidify and expand the UK’s network of influence with historical allies in a post-Brexit world. Third, British rapprochement with Africa is likely to be well received in terms of trade policy. Africa’s relationship with the EU has often been tense, largely on account of the protectionist and distortionary polices Europe employs in the agricultural sector through the Common Agricultural Policy. The UK has long been a proponent of freer and more equitable trade and would probably generate better opportunities for African markets to export their produce. This could be positive news for countries like Ghana (cocoa), Kenya (flowers and tea) and Ethiopia (coffee) in particular, who will benefit from fairer deals and better market access. Thus disaffected countries may now see scope for more beneficial bilateral deals with the UK. Sensing this opportunity, Tanzania in 2016 refused to ratify the Economic Partnership Agreement with the EU, holding out for a more favourable deal with the UK. 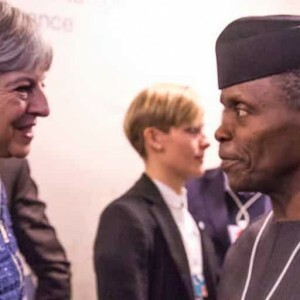 This could well be a sign of positive things to come – for both the UK and Africa. Given the tight timelines for renegotiating trade deals with the World Trade Organisation, African countries’ placing on the list of priorities is unclear. African countries will likely fall behind larger trading partners like China, India and Brazil in the pecking order of who would offer more immediate and scalable benefits. Europe alone – with at least 759 treaties to be renegotiated – will probably receive most of the time and attention of British policymakers. There is thus a risk that Africa’s status will be relegated to a ‘nice-to-have’ rather than a ‘must-have’ – especially given its low levels of integration into the global economy in terms of global trade (2% according to the World Economic Forum). Success will also depend on the institutional bandwidth of the British government to execute ambitious plans. The country’s bureaucracy is already stretched and suffers from a lack of co-ordination, according to Nick Oliver, an infrastructure financier with NMS International Group. If a new relationship with Africa is going to thrive, it also needs to be ‘business unusual’ for the UK. Given the country’s colonial past, any new relationship must be a strategic partnership of equals. Any attempt to re-engineer ‘Empire 2.0’ will fail. Further, the UK will be negotiating from a position of weakness rather than strength. Europe remains Africa’s largest trading bloc and the multiple market access offered is still attractive to African countries. Britain will need to offer a compelling value proposition to counter the surety and scale that the EU offers. Success in Africa for the UK will require not only cultural sensitivity, but also an appreciation of what African states actually want from a trade and investment perspective. This is an unenviable task on a continent with 54 vastly different counties, each with different priorities and preferences. Symbolically, too, Britain needs to show Africa that it matters. The last UK head of state to visit Africa was David Cameron in 2011. Emmanuel Macron’s first overseas trip, just a week after his inauguration as French president, was to Mali in 2017, while German Chancellor Angela Merkel visited Africa in 2016. Both leaders knew that these visits were important in shaping their strategic interest amid changing geo-political and economic influences in Africa. Britain is at a disadvantage here and needs build trust among African policymakers. But African leaders must also play their part in getting this arrangement to work effectively. African states must use their negotiating power to their advantage. With other global powers jockeying for influence in Africa, both commercially and otherwise, competition is intense. But a strong and engaged Western partner to the continent is currently lacking, and this is where Britain could act as a counterweight to China’s muscular approach and increased interest from India and Japan. Tactics, pragmatism and scalability are key – especially in light of the muscle that Africa could wield through the new Continental Free Trade Area agreement. By using its collective power, and prioritising agriculture, the continent’s leadership could broker a potentially game-changing deal that could reshape the nature of UK-Africa relations. With Brexit negotiations at a critical juncture, it is still unclear whether the UK will emerge as ‘Great Britain’ or ‘Little England’. But the deadline is fast approaching and Britain would do well not to ignore Africa as it charts forward. With some out-of-the-box thinking, there are compelling reasons why the continent may yet emerge as a huge ally to the UK.